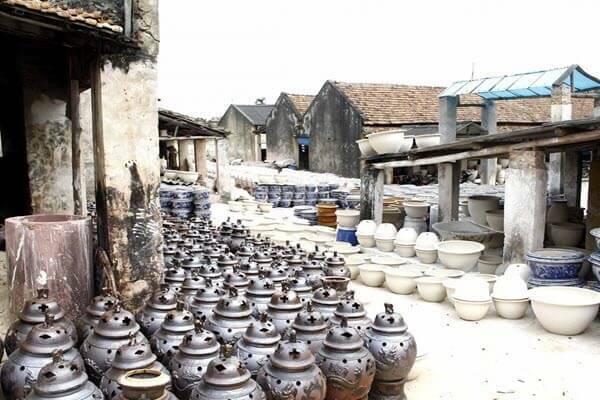 The scenery of rural Vietnam is fascinating as we ride along the Red River to the south and head to Bat Trang pottery village, the place where high-end pottery is produced for many millennia. 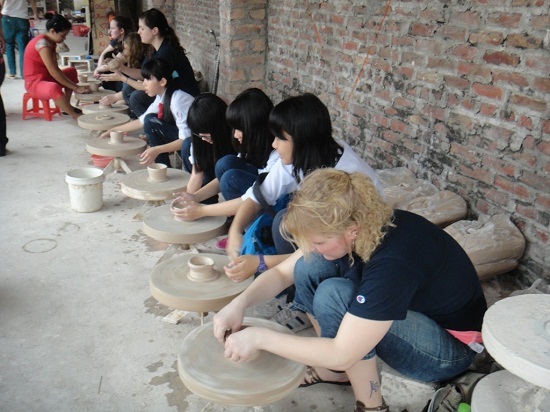 If you so desire, you can as well see and learn the ancient way of handmade ceramics first-hand! Then, our ride continues through scenic places, including rice terrace fields. 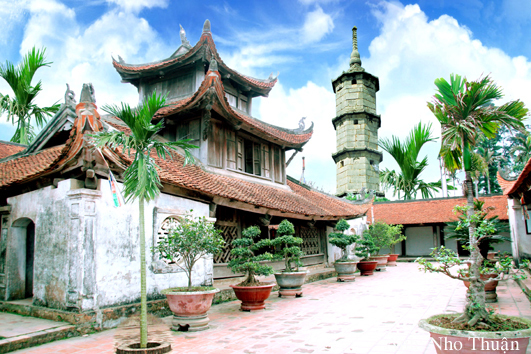 We visit the But Thap pagoda, the name ” But Phap “(Pen Stupa) was given by King Tu Duc in 1876 when, on in King Bac (former name Northern), he saw the beautiful stone stupa shaped like a pen at this pagoda, which had previously been known as Ninh Phuc Tu (Pagoda of Peace and Happiness), we then continue riding along the riverside. Of course, we can have some breaks in between if you need to stop for a while and take photos of the amazing landscape, or quench your thirst for some more exploration! 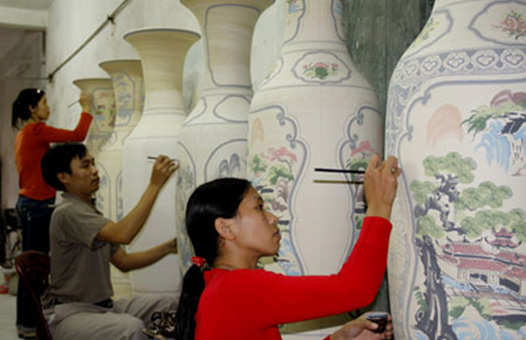 Our next stop is at the Dong Ky village, probably the most notorious wood carving village in Vietnam, where you can watch carpenters are they create masterpieces decorated by oyster shells and snail, from plain wood, through a detailed step-by-step procedure infiltrated with excessive love for their art. We eat lunch at a local restaurant and then get back to some more riding. This part of the tour includes trails not everybody knows of that will allow you to explore the countryside even deeper, as you hear remarkable guide stories all the way! As you go passed from the Dike River to brick and mulberry fields, and from temples to war memorials, one thing is for sure: this is a tour that will leave you with a sweet taste in the mouth, once finished and a loving memory that will ask for repetition! The trip ends at around 5:00 P.M, when we arrive at Hanoi. 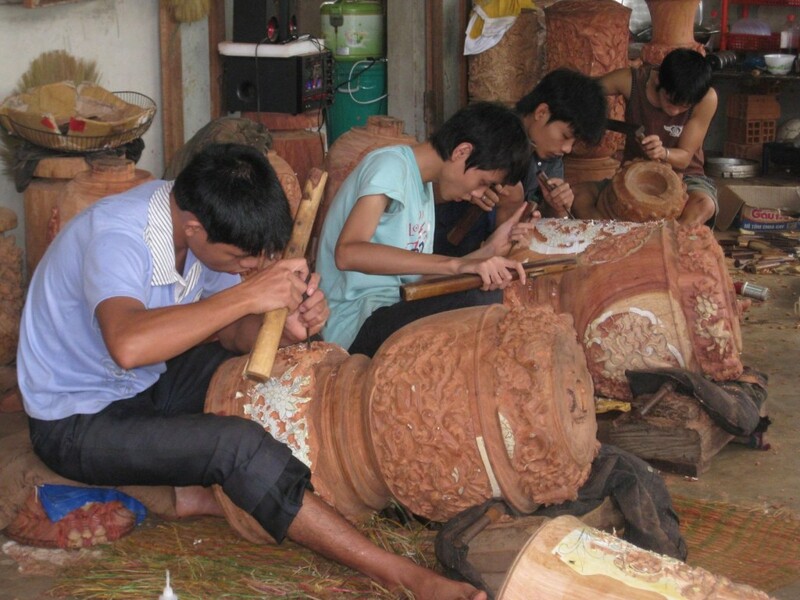 What do you think of Motorbike 1 Day Hanoi & Typical Villages / 1 Day?